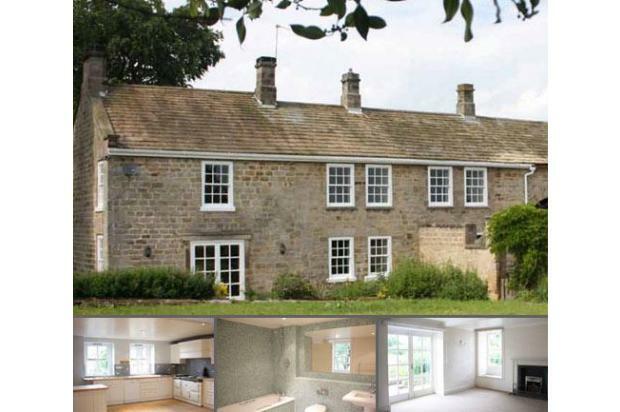 Recently renovated throughout this stone built 5 bedroom farmhouse is located on the Stockeld Park Country Estate with easy acces to Leeds, Harrogate, York, Wetherby and the A1. 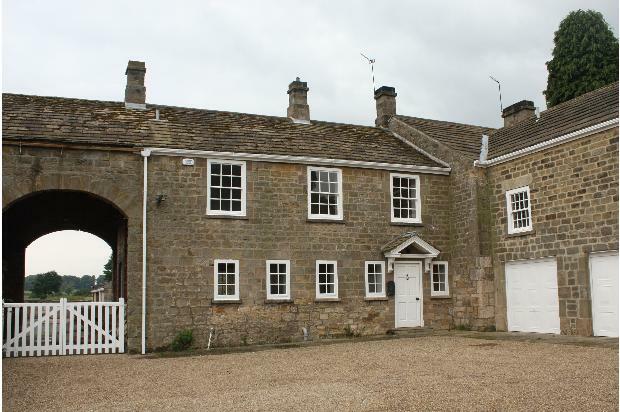 Description: Newly renovated throughout this charming stone built farmhouse is in a prominent rural position with views over fields and excellent access to Wetherby Leeds, Harrogate and York. 5 bedrooms, 2 bathrooms. Gas central heating. Attractive private gardens. Availability:	The property is available for occupation from 1sr December 2010. Term:	12 months initially on an Assured Shorthold Tenancy. Rent:	In the region of £2500 per calendar month. (2 miles) and Leeds (14 miles). Harrogate connects with the mainline station to give a fast inter-city service to London’s Kings Cross. There are regular flights between Leeds/Bradford to Teeside Airports about 45 minutes away. The property has easy access to the A1 3 miles away. Leisure:	Hunting with the Bramham on most Boxing Days plus York and Ainsty South. Bridleways cross the estate providing a variety of rides and walks. Racing at Wetherby, Ripon, York, Thirsk and other well know courses. Ground Floor:	Entrance Hall with parquet floor leading to downstairs cloakroom with fitted cupboards. large French windows opening onto the garden. surround and fender seat. Integral shelves. Dining Room 13’3” x 11’0”. Opens fireplace with Victorian range and marble and painted surround. Integral bookshelves, window seats, exposed beams. Kitchen with breakfast area 22’1” x 17’4”. 4 ring gas hob, 2 ring and hotplate Aga oven. Door to outside and utility room. Study 10’6” x 10’2” with fireplace and door to garages. First Floor:	A staircase from the Inner Hall leads to a large landing. Bedroom 1 is 18’3” x 15’2” with built in cupboards and Victorian fireplace. Window seat and access to adjoining bathroom. Bedroom 3 is 17’9” x 9’0” with fitted cupboards. Bedroom 4 is 13’5” x 11’2”. Bedroom 5 is 14’5” x 13’7” with fitted wardrobes and pedestal wash basin. En suite bathroom with WC, basin, bath with shower over, heated towel rail. Bathroom 2 with bath , basin, wc. Airing cupboard with immersion heater. Outside:	To the front of the property is parking for several cars and gated access to the side and rear of the house. A large utility room is situated to the side with access from the kitchen. A store with loft above is adjacent to the utility room. Rear courtyard with loose boxes & store. Arch to private garden with lawn and borders. Services:	Mains electricity, water, gas and drainage. the left is the entrance to Stockeld Park. Do not enter the Estate but turn right following the track down hill over 2 cattle grids. The house is on the right. Tenancy:	A 12 month Assured Shorthold Tenancy is offered with the rent being payable monthly in advance by standing order. A bond equivalent to two months rent is to be deposited on entry.